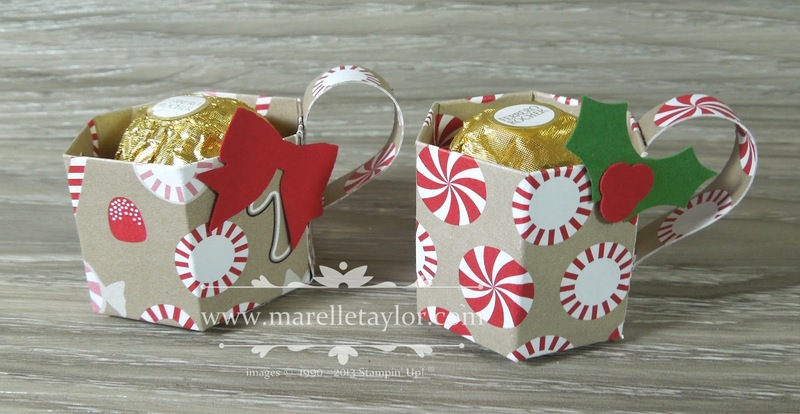 I love to hand out little Christmas treats to family, friends, and my lovely customers and class attendees! Here are 3 different treats that don't cost the earth and all have the cute factor in spades! I found these Santa coins in Woolworths, and was delighted to find how perfectly they fit our 2"x8" Cello bags. 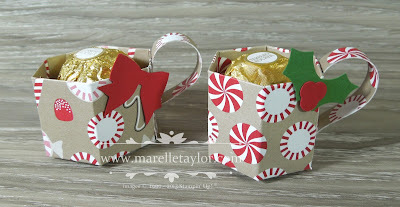 The 2"x8" cello bags are also a perfect fit for "Reindeer Noses" (8 maltesers and a Darrel Lea BB). On the back of my label it reads "no reindeer were harmed in the making of this product" hee hee! TIP: if you use the 'foot' of the Cookie Cutter punch to punch from a strip of glimmer paper, it's the perfect fit for a nose. So cute! ...and very quick and easy, once you get the knack!